Forks of electricity lacerate the night sky, and a few seconds later thunder peals through the air. Most who witness this exhibition of nature’s might are left awestruck, and yet in this remote corner of South America such electric displays occur as a matter of course when the sun has gone down. Here, darkness rarely lasts long. 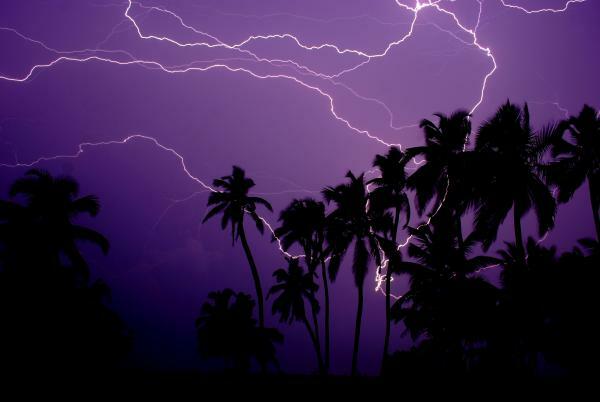 Alan Highton is a brave man, and his nickname, “The Lightning Man”, gives you some idea why. Highton is a photographer who specializes in taking pictures of electrical storms. In fact, he claims to have witnessed more lightning than anyone else in the world, and given the area where he spends much of his time, we’ve every reason to take his word for it.